● What does the insider threat looks like in 2019 ? 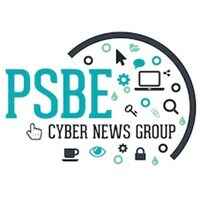 ● Where do UEBA and machine learning fit into the cybersecurity landscape? Generation Z: Young Coders, Cybersecurity and Community. Proposing a new approach to cyber defence, which uses dynamic AI systems that can counter the activity of malicious threats. This new advanced AI technology can autonomously contain and monitor relevant threats, increasing confidence that a problem is emerging before automatically stopping the threat without interrupting normal business and employee activities. Be there to see Anonymous Scandinavia and their discussion!!! We will also be facilitating a Q&A via Twitter - Live! Turning the tables - becoming the hunter rather than the hunted (MTD). Its fair to say that the security challenge is spiralling out of control. The number of vulnerabilities, threats, attacks & breaches is growing at an overwhelming rate, exacerbated by the inflationary impact of state-sponsored investment into hacking skills and technologies and the enabling power of cryptocurrencies. Regulatory pressures add additional pressure and elevate questions of Cyber Security to the board room, putting IT, Security & Risk Managers under immense pressure to balance digital transformation, a dynamic and confusing threat landscape, regulatory pressures and budgets. In the end breaches are inevitable, and businesses to need to plan accordingly and invest prudently. For these reasons kind of Attack and Compromise Detection program has an integral part of any mature cyber defence program. But like so many things in security – the devil is in the detail. It’s the ‘how’ that matters, as much as the ‘what’. In this workshop we will share a set of principles, supported by concrete examples, that we have developed over many years of building a running a large scale Managed Detection and Response program. Each of the ‘Principles for Successful Detection and Response’ is battle-tested and practical, helping you to think logically and intelligently about the role that a detection program will play in your organisation, and help ensure that the program meets its objective of increasing visibility, minimising dwell time and reducing the risk to your systems, without placing too much strain on your resources. For each principle that we explore we will provide real-life examples or case studies from our own program. • Reviewing attack vectors: where do the real threats to Privileged Accounts come from? • People, passwords and processes: where’s the weakest link in the chain? The tech sector is beset by threats on all sides: mega-breaches of data, new EU legislation, and the Cambridge Analytica scandal to name but a few. Meanwhile hackers, whisteblowers, security researchers and investigative journalists are all targeting sensitive data, using the dark web and encrypted communications tools to stay hidden. Technology journalist Geoff White examines how organisations can navigate this hazardous new territory, and whether beyond the threats there are opportunities to win users’ trust. 4. The stumbling drunk…simply put we keep staring into the abyss and almost falling in, only to somehow manage to come back from the collapse, the challenge is HOW many times can we do this before we simply fall in? Why Ladies Hacking Matters. An Introduction to LLHS and How Women Can Help Fill the Cyber Skills Gap. A one hour extensive interview with Edward Snowden will take place via live stream. Edward Snowden, a former NSA contractor turned Whistle-blower on some of the US’s most closely protected documents and secrets, is a worldwide household name who evokes very strong feelings in many people. Now living in exile in Russia, the US Gov. wish him to face the severest penalties for his actions. Edward will explain his actions & philosophy, as well as taking questions from the floor. Chairing this part of the proceedings will be respected BBC & Channel 4 journalist, Geoff White. He is currently writing a book on cybercrime, due for publication in 2020. As to what we will learn or insights we will be given remains to be seen, but the encounter will surely be extremely memorable!